After a few months of blogging we decided to take the plunge with a self hosted blog. Of course we had to do a little sprucing up while we were at it. 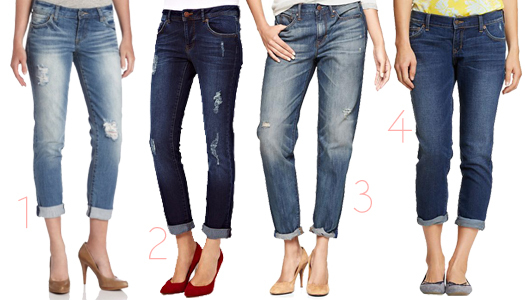 Be sure to update your browsers to go to Pretty Plain Janes (www.prettyplainjanes.com). Hope you enjoy the new look! I have only experienced a tequila shot a few times in my life. The first time, in a gross frat house- the second at a Mexican restaurant on my birthday, with a ridiculous sombrero on my head and people around me singing. Clearly peer pressure was involved on both occasions, and neither were anywhere near enjoyable. 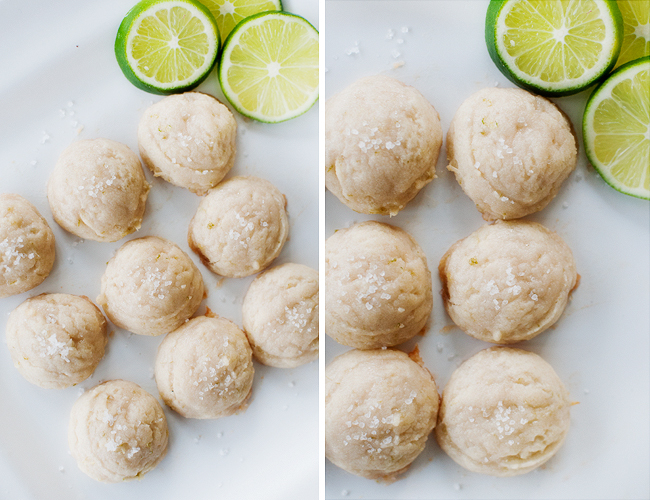 I only like tequila in two forms: a tasty margarita or these tasty little cookies. 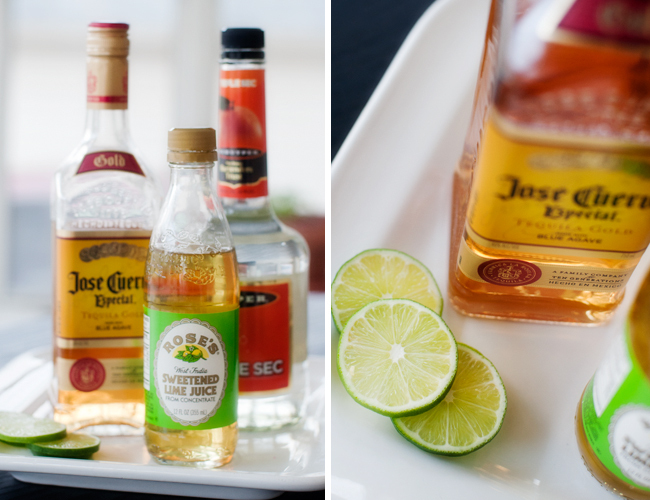 Cinco De Mayo is the perfect excuse to dust off the tequila, zest a few limes and make some liquored up cookies! Preheat oven to 375F. Lightly butter a baking sheet or prepare with parchment paper. Add butter and shortening into a mixing bowl and beat until smooth. Beat in sugar. Add Tequila, lime juice, Triple Sec, and lime zest, and beat until combined. Add flour and mix well. 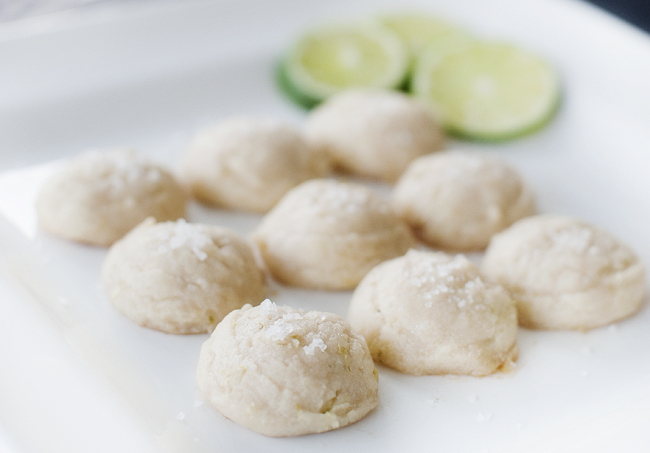 Form balls from 1/2 teaspoon of dough and place on 2 inches apart on prepared baking sheet. Meanwhile, make Tequila-Lime Glaze: Combine all ingredients in a small bowl and stir until sugar dissolves. Remove cookies from oven and immediately glaze. Sprinkle with salt, cool thoroughly and serve at room temperature. Itty bitty melt-in-your-mouth treasures to finish off your Mexican feast!! As women, we have all heard the scenario, “you wake up late and have five minutes to get ready.. what do you throw on your face?” Most people answer with mascara, blush or lip-gloss. Not me. For years and years I had terrible eyebrows. My older sister called them the caterpillars that lived on my face, and she wasn’t being mean- she was being honest. I was terrified of waxing and tweezing and tried all sorts of strange mechanisms to “groom” my brows without having to do the dirty work, but nothing did the trick. At some point I finally got acquainted with tweezers and learned that the pot of wax at the salon was my friend. Then, a few years later, I came across Bare Escentuals Brow Color. Life changer. First things first, grab your tweezers and shape up those brows! 1. Using your brow brush, create a visual line from the side of your nose, straight up for guidance on where your brow should begin. 2. Your natural arch can be found by visualizing a line from the tip of your nose through the pupil of your eye. 3. 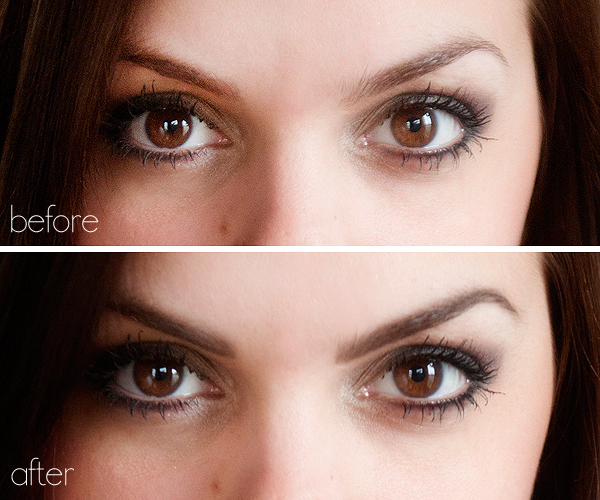 Your brow should only extend from the corner of your eye. Tweeze or wax any strands outside of your basic shape perimeter. The hard part is done! 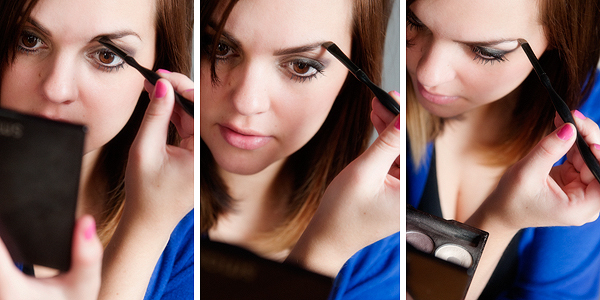 Grab an angled brow brush, your favorite brow enhancement product, and get bold! Bare Escentuals Brow Color is great for many reasons- it comes in five shades (even red!! ), it is easy to apply, and best of all it stays put all day. 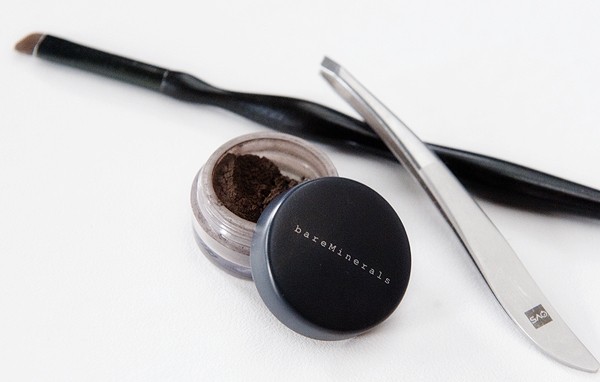 No smudging- and no, your eyebrow will not be running down your face if you hit the gym after work. 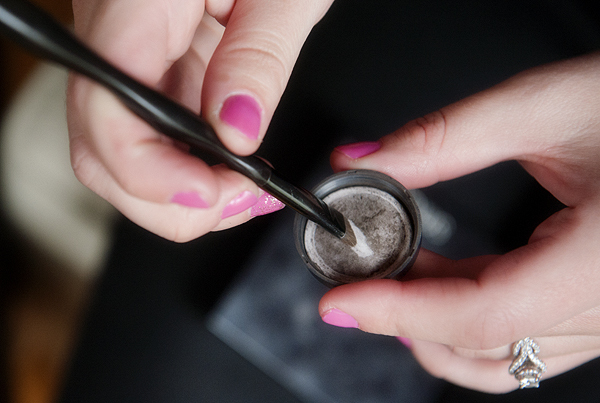 You can go as bold or natural as you would like- I usually dab from the lid before applying. 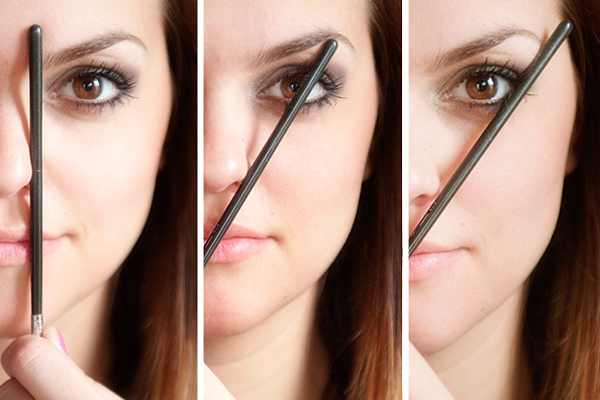 Starting in and working your way out, use quick, swift brush strokes following the natural direction of your brow. Go dark for a bold look, or keep it light for a more natural look. Have fun with it! 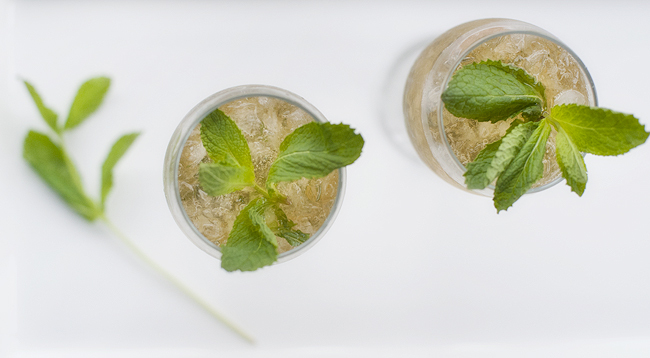 The Kentucky Derby is just around the corner, what better way to celebrate than with a mint julep! We love the idea of sipping on the traditional cocktail while playing the role of a proper socialite at the track. Although we are not sure how proper we would last considering bourbon packs a punch – this is definitely a drink where training would be involved. 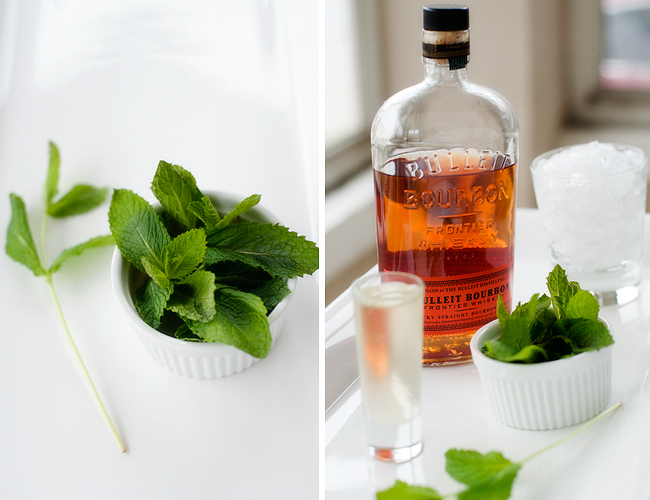 Drop mint leaves in bottom of glass with 1 oz of simple syrup. Mash together to release mint oils (we used the opposite end of a wooden spoon). Fill glass with crushed ice and top with bourbon. 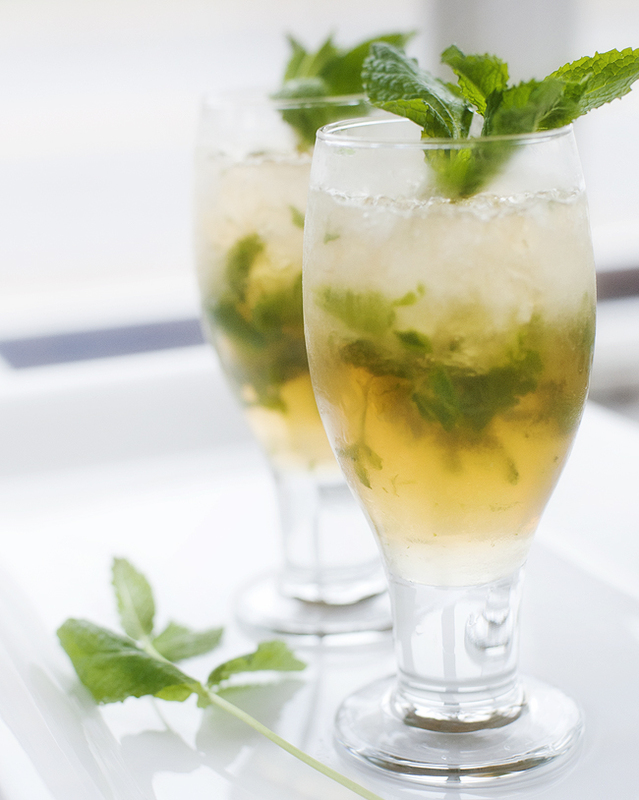 Give it a little stir then garnish with mint leaves. Adjust the sweetness to taste. Cheers to the fun dresses, unreasonably large brimmed hats and ladylike gloves (oh, and the horse races)!